Let me start this tutorial with a little backstory so you know how this particular endeavor came about. A friend of mine sent me this photo of a beautiful duvet cover that she wanted to go with an antique bed frame she purchased. I know, right!?! Can you say swoon? 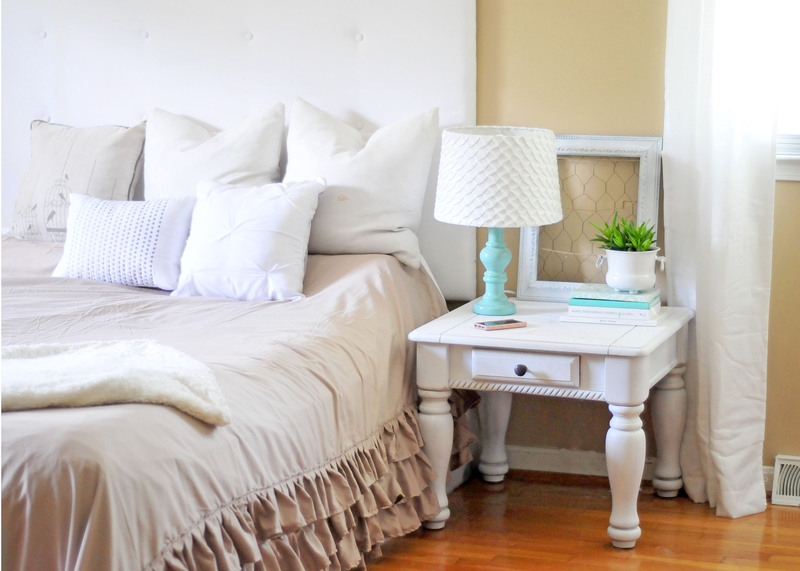 The only problem was she wanted a taupe color to match her bedroom decor which this particular duvet wasn’t available in, and she needed a full size, not queen. So, because I don’t already have eight million projects going on and am a total glutton for having no free time I said, I can totally make that for you, because it’s how I roll. In actuality, I think I said something more along the lines of, I can try to make that for you, because I have never undertaken anything quite this elaborate before with the exception of some knockoff Anthropologie curtains that I made for my sister-in-law a few Christmases ago. Take it from me. This is a whole other ballgame. Anyway, my friend graciously agreed to let me try it, and since the version we came up with ended up costing a whopping total of $50.00 in supplies, as compared to the $225.00 price tag of the white one she found, it was a given that we had to at least see what we could DIY. In the interest of full disclosure, there are LOTS. OF. RUFFLES. You need to know that up front. This bad boy took me a solid 8 hours to complete, so you’ll have to work that into your time/cost comparison to see if it’s actually worth it to undertake or if you’d rather just fork over the money for an already made one. I’ll be honest: if I were asked if I wanted to make myself one right now, I’d totally say, No, I’ll just buy one, thanks. However, I’m still in that I-just-finished-this-project-and-really-don’t-want-to-see-a-sewing-machine-for-at-least-a-week phase, so you might want to ask me again in a few weeks once that has worn off. Sometimes these projects are like childbirth–you get this weird sort of amnesia and you want to do it all over again. There is something incredibly gratifying about finishing up a big project like this, though, knowing that this one is the only one in the world of its kind and, yeah, you could have handed over a bunch of money for one, but you didn’t. You made it. Ta-da! So whichever side of the make it or buy it coin you end up on, you’ll get loads of understanding from me. 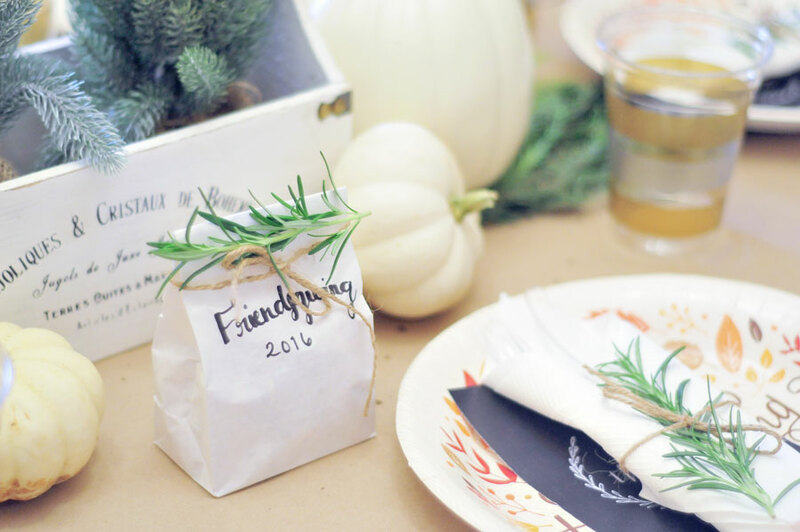 If you do decide to go the DIY route, here’s the tutorial for how I made this one for my friend, and I have to say, despite the time commitment, I absolutely love the final result! First thing’s first. 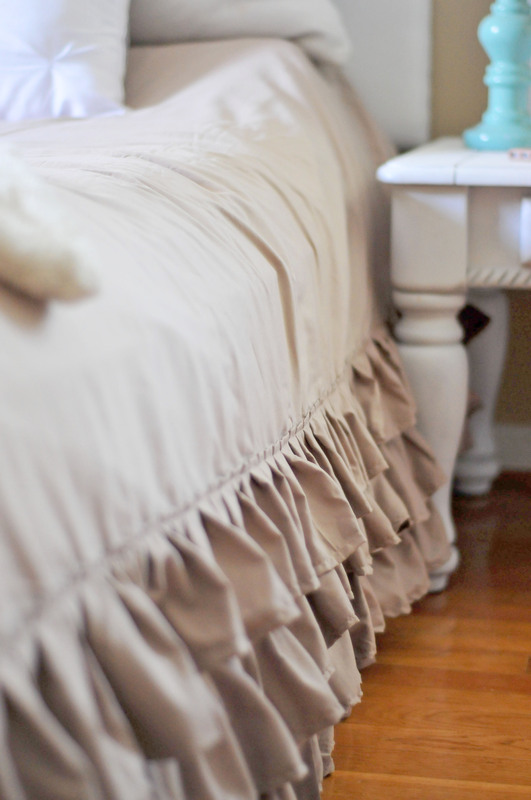 Lay out your flat sheet, ironed flat, and cut as many 5″ strips out of it as you can. 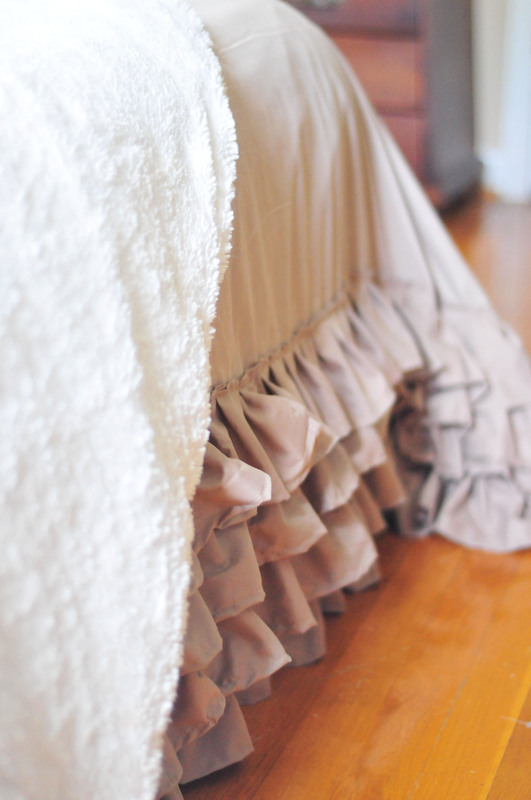 I wanted the ruffle layers to go 12″ up the sides and bottom of the duvet, and used four layers of ruffles on all sides. Hem all of your 5″ strips in a 1/2″ seam along the top and bottom. Your strips will now be 4″ wide. I honestly lost count of how many strips I ended up cutting, but I used one full flat sheet and two strips from the fitted sheet on this project for a full/queen sized duvet. Once all your strips are hemmed, it’s time to start pinning. 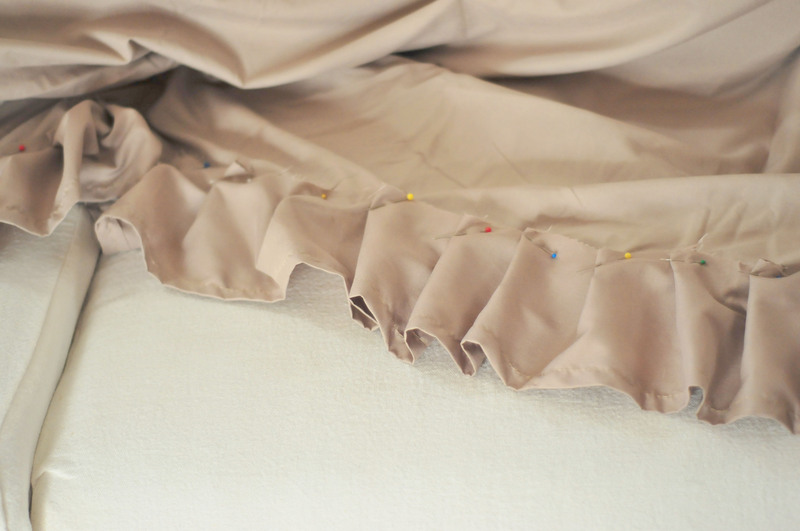 If you decide to do yours on a comforter, you’re golden because you can just pin the ruffles on while holding underneath. For a duvet, however, I had to make sure I didn’t pin the bottom and top of the duvet together; otherwise, the insert wouldn’t fit. The best way that I found to avoid this was to open up the duvet and slide it over my table to pin. It’s a little awkward at first, but it works and you get the hang of it really quickly. So this is the tedious part. Pin on the first layer of ruffles, starting with the lowest layer. 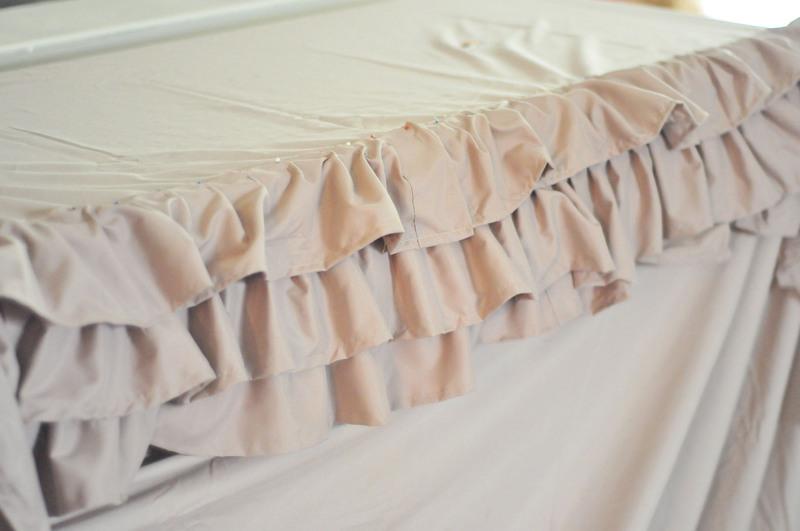 There are a few ways to get the ruffled look, but because I wanted a neat line on the top layer, I chose to do a pleat of sorts. To do this, pin the edge of the strip to the duvet. 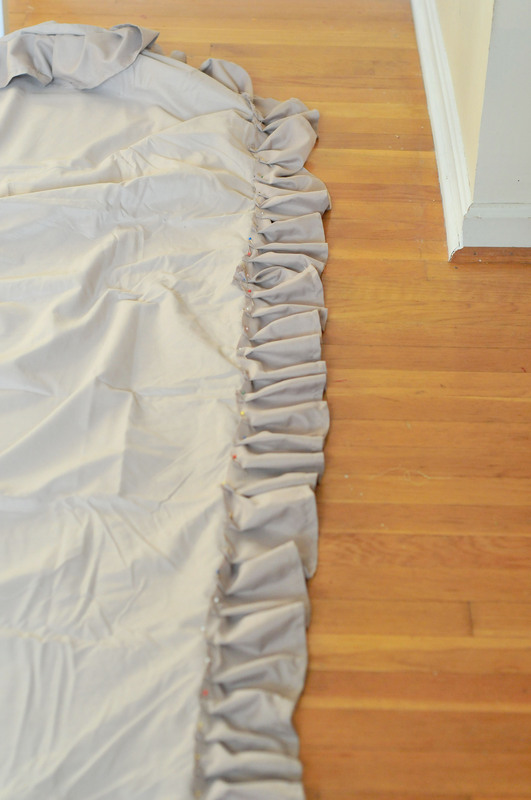 Working left to right, fold the hemmed strip over on itself then fold again to create a pleat. 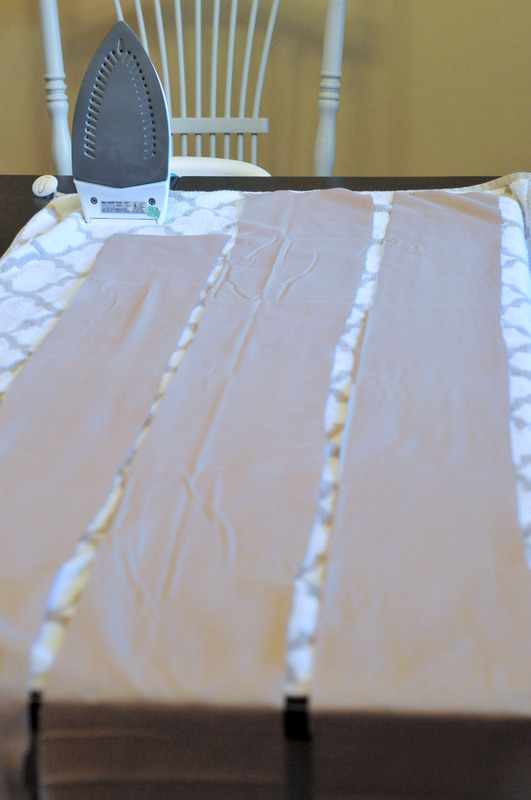 Pin the pleat, then repeat. You’ll notice my lines are not perfect. That’s okay. The nature of ruffles give you a little grace so only the top layer has to be really perfect, and we’ll measure when we get to that one. 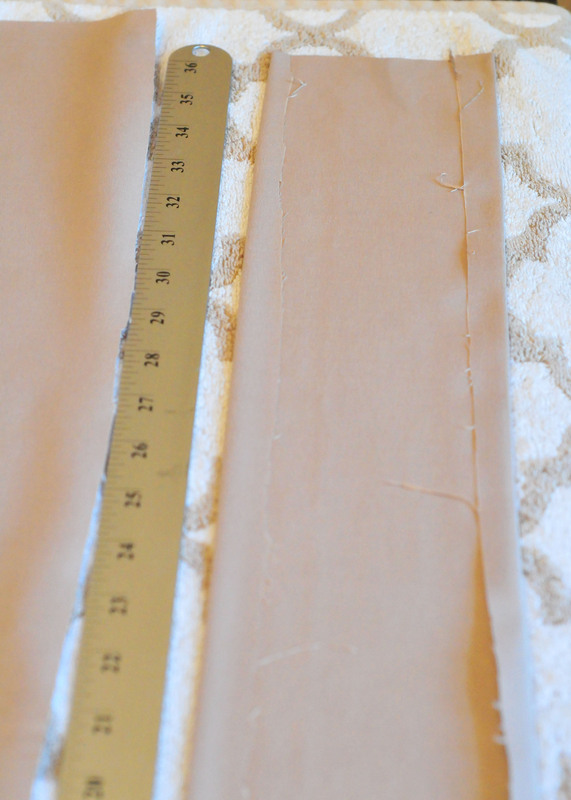 Once the entire bottom layer is pinned, run it through your sewing machine. Then do it all over again for layers two and three. My best suggestion? 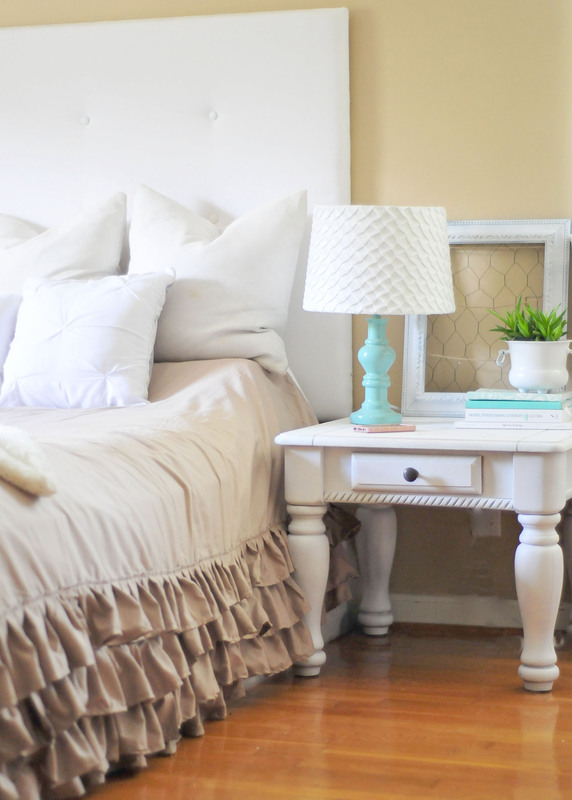 Find a really good show to binge-watch on Netflix while you’re doing this. You’ll seriously make it through, like, four episodes. 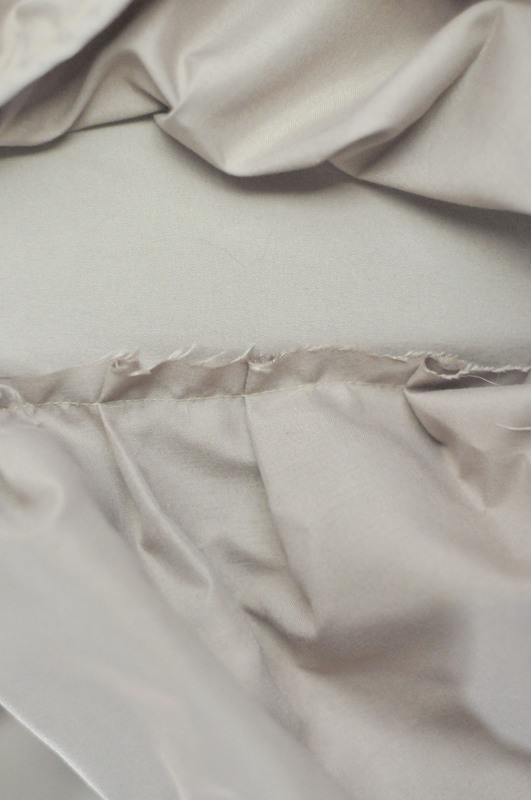 Once all three layers are sewn, take your ruler or yardstick and measure 12″ from the bottom seam of the duvet (not the bottom of the ruffle). 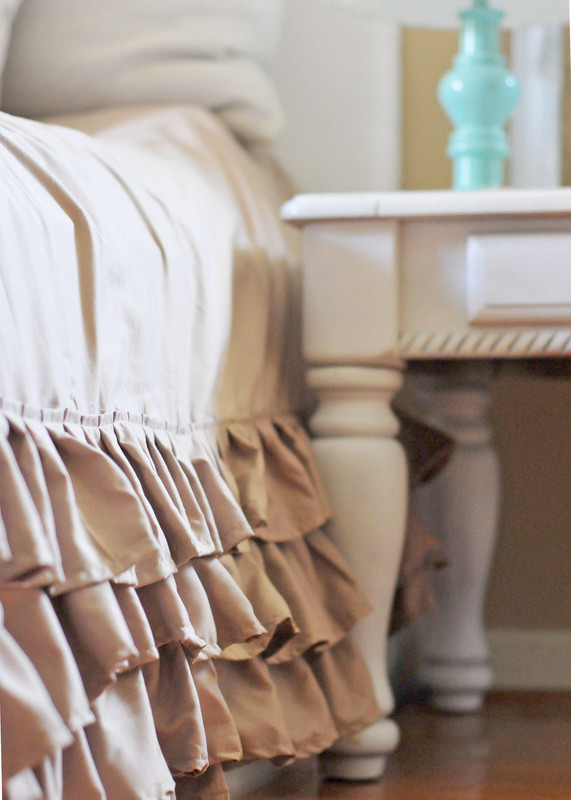 Place tick marks along the duvet at 12″ on all three sides you’ll be adding ruffles to. 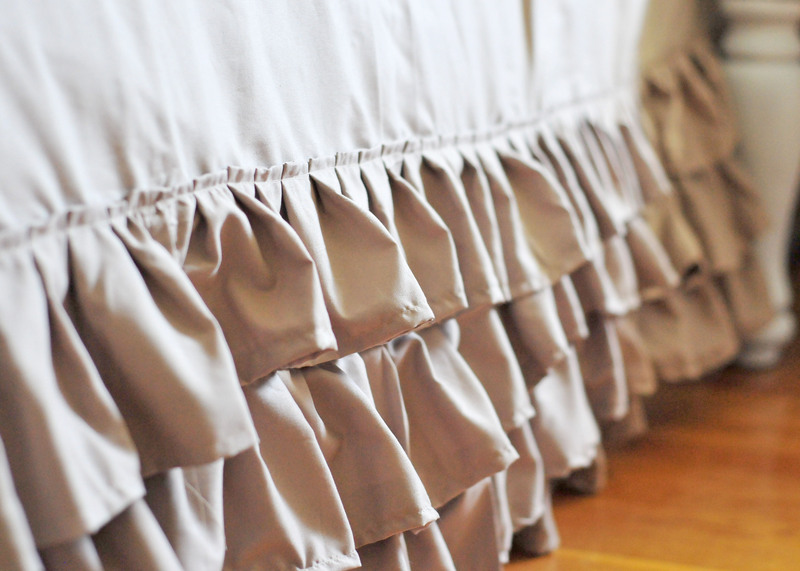 These tick marks will give you a guide to place your top layer of ruffles. Pin on the final layer, and sew in place (and breathe a sigh of relief because you’re done)!! !